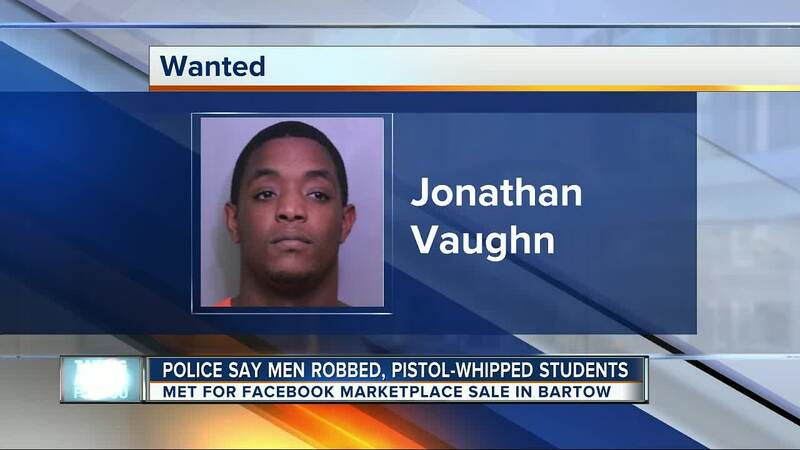 BARTOW, Fla. — Bartow Police are looking for a man they said pistol-whipped two victims after robbing them at gunpoint. Police said 21-year-old Johnathan Vaughn and 19-year-old Genar Smith, Jr. met with two foreign exchange students at the Azalea Gardens complex in Bartow on Thursday, August 9. According to the victims, they were told to go to the complex after talking with someone on Facebook Marketplace about trying to buy an iPhone. 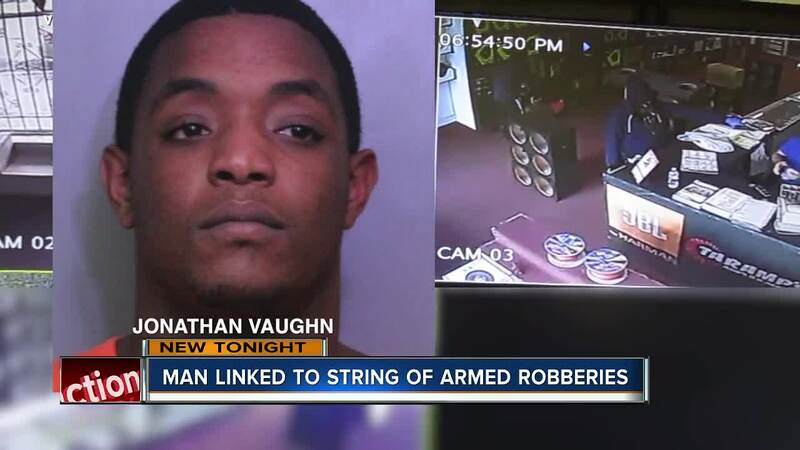 Police said when the victims went to Azalea Gardens to buy the iPhone Vaughn and Smith robbed them at gunpoint, pistol-whipped them and fired a shot at them — then stole their money. Days later, on Friday, August 17, Smith was arrested in the Azalea Gardens complex. Anyone with information is asked to call the Bartow Police Department at (863) 534-5034 or to remain anonymous Heartland Crime Stoppers at 1-800-226-8477 or submit an anonymous tip online .